Blandfordia grandiflora, watercolour by Gertrude Lovegrove, c1890. Blandfordia grandiflora, watercolour by Gertrude Lovegrove, c1890. Caroline Simpson Library & Research Collection, Sydney Living Museums. 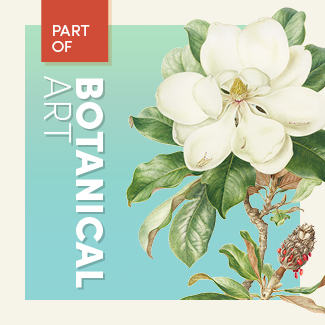 Members and their guests are invited to join Megan Martin, Head of Collections and Access at Sydney Living Museums for a floor talk and preview of the upcoming exhibition The Artist & the Botanical Collector. The exhibition tells the story of a collaboration between amateur artist Gertrude Lovegrove (1859-1961) and botanical collector William Bäuerlen (1840-1917) to produce a multi-part publication The wild flowers of New South Wales. Part 1 was published in a small print run in January 1891 but no other parts followed. In 2013 Sydney Living Museums acquired a collection of Lovegrove’s original watercolours for the publication and in the process uncovered a network of Shoalhaven connections between both the artist and the collector and the McKenzie and Thorburn families associated with SLM’s house museum Meroogal in Nowra.